All of our offices have on-site valeting services as well as an anti-foul service where required. Please contact the nearest office to your boat for a quote. If your boat looks like this, do not fear, Bates Wharf are here! 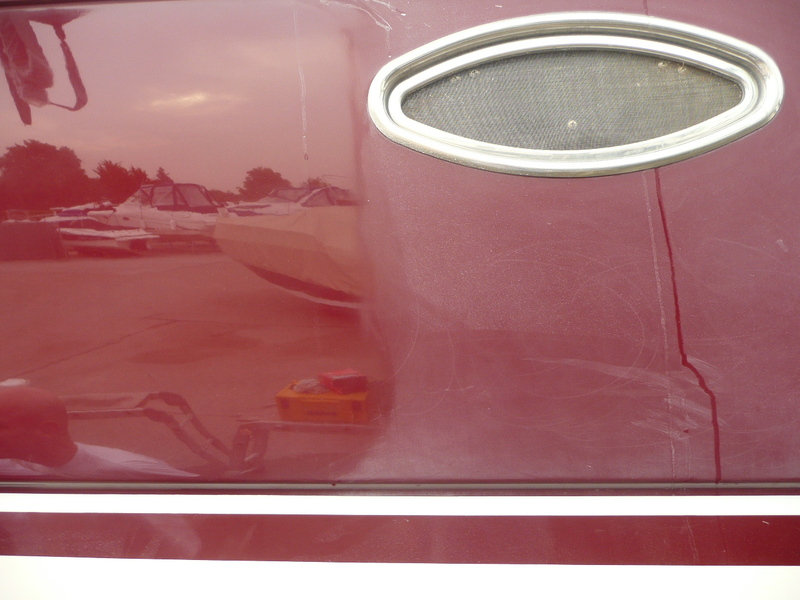 Chalking is incredibly common with gel coat and our “full monty” service brings the boat back to her shining glory! We recently sold a Sessa with a complete valet, and her new owner made us a video! Contact us today for a quote.